Unlike its journey from third world to first where model economies abound, Singapore must today boldly chart its own course into an era dubbed by World Economic Forum’s (WEF) chief Dr Klaus Schwab as the Fourth Industrial Revolution. At the turn of the 21st century, the Fourth Industrial Revolution had built on the invention of the computer, semi-conductors and the Internet, fueled by data and digitalisation. This revolution has given rise to new models of enterprise such as Grab, Netflix, RedMart and others. Businesses seen to be disrupters to the status quo. Remarkable for its speed and breadth, the Fourth Industrial Revolution is affecting every sphere of human activity. And like a virtuous cycle, we have seen more data being produced just as digital footprints have grown – triggered in turn by more activities that are performed in digital channels. So much so that market analyst group, IDC, predicted that the world will generate 163 zettabytes (i.e., 1 trillion gigabytes) of data a year by 2025. Ranked today as being a leading city for both long-term success and short-term momentum, Singapore is well placed to ride this data boom, spurred on by its digital services. 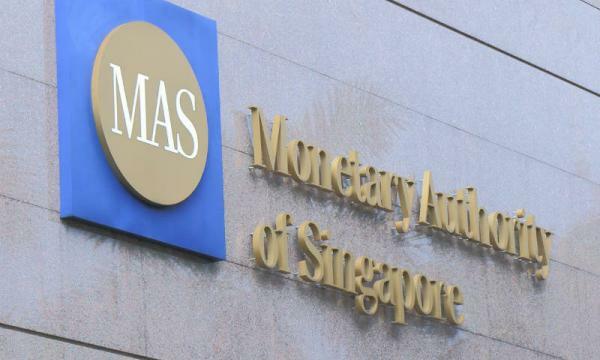 The country’s Ministry for Trade and Industry reported that Singapore’s digital services sector comprises around 8.3 per cent of the country’s Gross Domestic Product and employs over 200,000 workers. 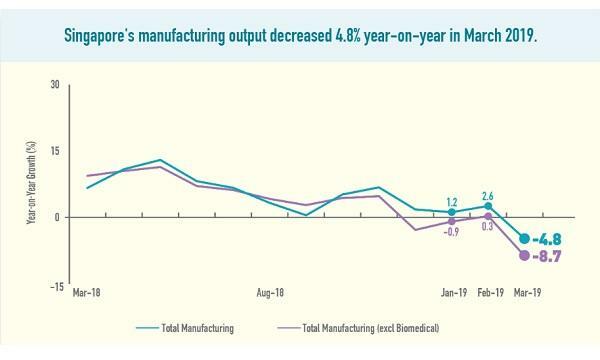 The sector has also been a boost for Singapore’s productivity, registering five-times more value-add from each worker than those in other industries. People working in this sector earned up to S$3,000 more in wages as compared to the national median. With the release of its report by the Committee on the Future Economy, the government has boldly affirmed its commitment to double-down on helping workers, companies and institutions thrive in a future marked by tremendous opportunity in Singapore’s data economy. In this new economy, the ability to solve complex problems emerged as the topmost skill-in-demand, according to a WEF report titled The Future of Jobs - Employment, Skills and Workforce Strategy for the Fourth Industrial Revolution.40 percent of jobs across all industries will require workers to possess this core skill by 2020 to enable them to partner with – and not be replaced by – machines. Data literacy has long been considered a key enabler to complex problem solving. And some of Singapore’s most forward-looking organisations in both traditional and modern sectors have done well in placing this higher order skillset in the hands of the many, instead of being limited to the bandwidth of one’s IT department. In doing so, they have raised their competitiveness whilst establishing a culture where data literacy has become virtually ubiquitous. RedMart, a Singapore based online grocery marketplace, maintains a 100,000 square foot warehouse, which regularly stocks more than 16,000 products. For the retailer-disruptor, fast, updated insight into its inventory and shipment data remains key to RedMart consistently meeting the expectations of discerning customers. Whereas most of RedMart’s customer data was previously held in silos, and hampered by bottle necks from the inability of its IT department to keep up with requests for reports from the company’s business users, the online retailer embraced self-service visual analytics to enable more people across the enterprise to see and understand data for themselves. In doing so, RedMart was able to realise greater efficiencies in the time spent on analysis by around 70 percent, by gaining real-time visibility into data and facilitating quicker decision making. Similarly, Metro - an iconic Singapore-born retail chain - had also embraced a self-service visual analytics to enable it to harness data, break out of the limitations of a brick-and-mortar operating model and raise the quality of its customer experience. By bringing visual analytics onto the storefront, Metro was able to gain valuable insights into peak and lull shopping periods, inventory flow, and customer purchase behaviors. This enabled Metro’s staff to effectively plan operational and promotional strategies to consistently improve efficiency and sales performance. As a result, decision-making across Metro evolved from that of ‘gut feel’ to being data-guided. Today, the retailer continues to actively build a data-guided culture across the organisation for the benefit of both business decision-makers and also storefront employees. That said, we should recognise that the merits of such human ingenuity has not simply been limited to commercial ends. By tapping on data, the Singapore Sports Institute (SSI) has raised the bar in training and nurturing some of the country’s best-performance sporting athletes. Underway to realizing its Vision 2030 master plan, SSI established an intuitive and user-friendly ecosystem for multiple stakeholders – from decision-makers to coaches – to marry sport with analytics so as to more effectively hone the outcomes of training, dieting and conditioning for more than 70 athletes across a variety of sports including swimming, table tennis and badminton. This has enabled trainers to scrutinise the performance of their athletes down to a millionth of a second, whilst empowering them to share these analyses with other specialists in the institute. In doing so, SSI has been able to make more informed predictions and projections for future games whilst ensuring that athletes benefit from a holistic approach to their overall fitness and well-being. Having empowered their people to see and understand data for themselves, organisations like RedMart, Metro and SSI have kept human ingenuity at the heart of their digital transformations to propel their organisations forward. Yet, it should be noted that the age of data has also ushered the rise of machines as Singapore enters the Fourth Industrial Revolution. To that end, Singapore should ensure that a deep sense of autonomy continues to be preserved among its people by helping them to acquire skills and capabilities such as self-service analytics, at a time where AI and Machine Learning have been widely purported to take center stage.